Company Name Samsung Auto Parts Co., Ltd.
Samsung Auto Parts Co., Ltd.
Samsung Auto Parts, as a specialized exporting company for second hand vehicle parts, has established global networks for supplement of vehicle parts. We are handling all car parts as second hand for engine group, transmission group, chassis group, body group and other group, and the order shall be made by email, facsimile or phone without direct visit from overseas. Direct visit could be made for detailed discussions for the order and its shipments. Furthermore, the buyer could stay in Korea for the arrangement of the containerized volume. Samsung Auto Parts is also working to supply second hand vehicles, and it could be shipped with the vehicle parts together to increase the efficiency of containerized shipment. The company shall confirm the quantity and quality of the products which have ordered by our customers, and shall pay our best efforts to meet customers' requirements, such as shipping schedule. We shall be with you for the future of Auto Vehicle Parts as "a steadily growing beautiful company", on our trust and belief. About Samsung Auto Parts Co., Ltd.
Samsung Auto Parts, as a specialized exporting company for second hand vehicle parts, has established global networks for supplement of vehicle parts. 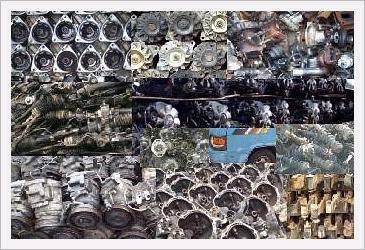 We are handling all car parts as second hand for engine group, transmission group, chassis group, body group and other group, and the order shall be made by email, facsimile or phone without direct visit from overseas. Direct visit could be made for detailed discussions for the order and its shipments. Furthermore, the buyer could stay in Korea for the arrangement of the containerized volume. Samsung Auto Parts is also working to supply second hand vehicles, and it could be shipped with the vehicle parts together to increase the efficiency of containerized shipment.